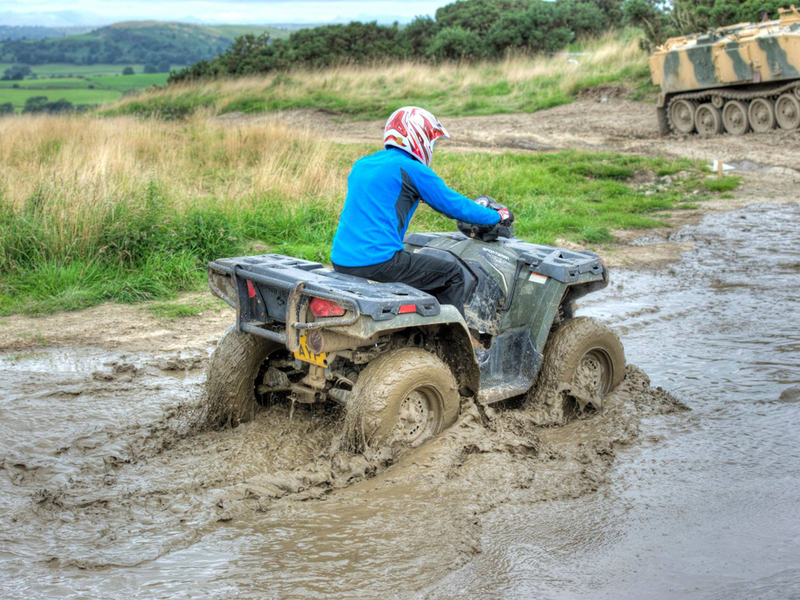 Our Yamaha 350 Grizzly Quads are a Farmers and Countryman's best friend. Capable of climbing and traversing difficult ground. 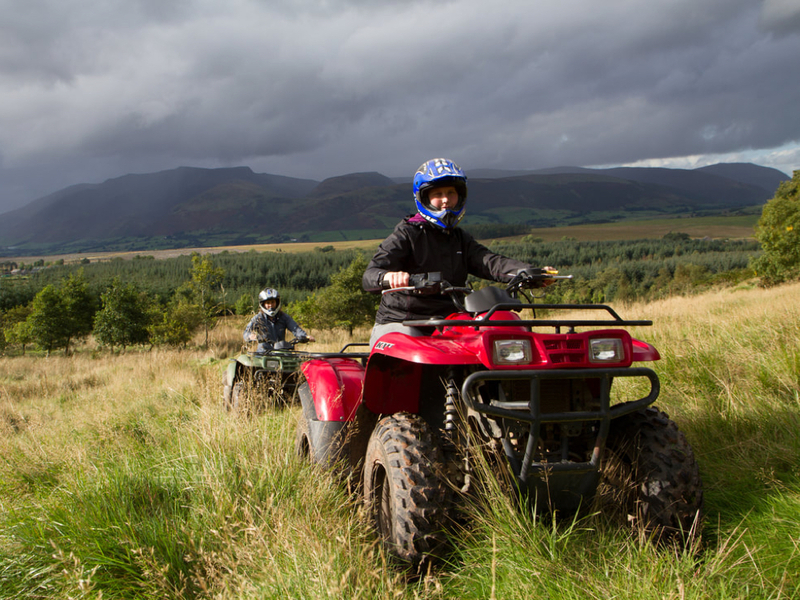 Quad biking is like a motorised expedition: taking in challenging terrain that few vehicles can match. Practise your skills on our steep and rocky fells. Be sure not to get your quad stuck in the bog! Whether you are a complete novice or an all season pro, the session with our instructor will push you to your limits. Get ready for a wild and muddy experience! Quad biking is not a high speed sport, rolling one of these serious machines would be nasty, this is not Go-Karting.